Large Burt Lake home with 3 bedrooms and 3 baths on a full walkout basement. 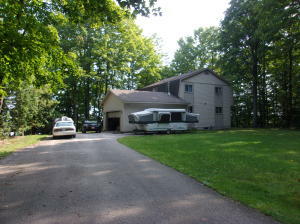 Attached 2 car garage, black top drive way with 108 feet of frontage. Nice landing area to the lake with sandy beach frontage.